The reason so many young or inexperienced leaders (ok, and many not so young and experienced ones too) find themselves in deep water is that they have not learned to measure their words carefully. Instead they instinctively develop a knee jerk, reactionary leadership style. This individual feels the need to quickly react to every situation. But this type of response only serves to make things worse. People will do and say things that will make you mad, yes, furious, fuming, even ferocious. It’s only natural that you would want to react in anger. But you should not… you cannot… you MUST NOT give in to the feelings. It would only make you lose influence and it gives others too much control over you. It’s when you’re angry that you are most likely to lash out at others in ways that are hurtful, and that can create longstanding resentment and build walls of distrust. When you find yourself on the edge of an angry confrontation, stop, shut your mouth, and back off. Close your eyes and count to ten, or count to 100 if you need to! If that doesn’t work and an explosion of anger seems imminent, simply turn and walk away. You might be right, but do you need to show others up? Let's suppose one of your peers is talking about something funny that happened at the last board meeting and said there were 15 people present, when you KNOW there were only 13. Should you speak up or keep your mouth shut? At times like this you should ask yourself it it's really critical for other to know the exact information. What would be the point of correcting the storyteller at this moment? Many times it's better to let some inaccuracies go, especially if they aren’t critical to the point of the story. Other times you might be bursting to speak and tell others what you think, why you think it, why your opinion or advice has merit, and what they should be doing, thinking, or considering. But unasked for information, insight or evaluation is simply that: unasked for. Unless it's essential to the situation, you need to remember that as a leader you are not a technical expert, but a developer of people. Let your people find the answers and take pride in their achievements. Marshall Goldsmith, a well known executive coach, suggests that before speaking you ask yourself: "Is this comment going to make our team more effective -- or is it just intended to prove that I'm more clever than my peers?" Then, If the primary driver of the comment is your own ego, don't say it! There's an old Spanish proverb that says: "Don't speak unless you can improve upon the silence." 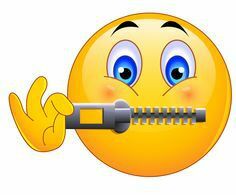 Probably one of the most important skills you can ever learn as a leader is to keep your mouth shut. Most people in business are afraid of the silence. You need to make your peace with it. Get used to saying nothing. Use silence to make the other guy speak. Not sure which way the wind is blowing? Don't speak until you find out. And if you have nothing to say, say nothing. Silence can make you own a room. Silence can give you the competitive advantage. And specially, silence will never make you look like a fool! 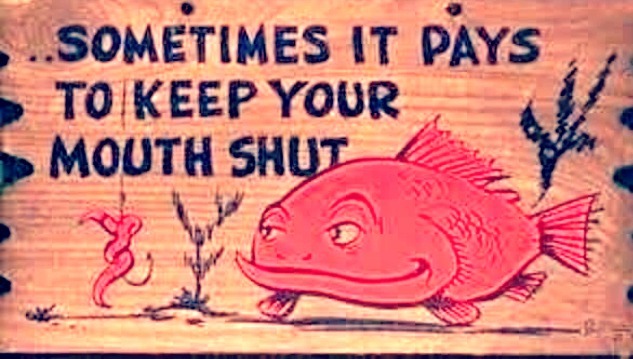 Not only is there wisdom in knowing when to keep your mouth shut; there are practical advantages as well. A story is told of the owner of a printing business who was delighted when another company wanted to buy one of his used printing machines. After careful calculations, he fixed a price of $2.5 million and formulated his arguments carefully in his head. When he sat down to negotiate, however, an inner voice told him, “Wait”. And he did. The buyers quickly filled the silence with a rundown of the machine’s strengths and weaknesses. The seller said nothing. Then the buyers said, “We’ll give you $3.5 million, but not a penny more.” Less than an hour later, a very advantageous deal was made. Opportunities to improve a situation by “zipping your lips” come up all the time in your everyday dealings with others. Remember to take a breath before speaking. Stop before you blurt it out. Taking a breath is powerful because you can give your thoughts a chance to bounce around in your head before they hit the room. People will then know that when you speak, you are worth listening to. And when people sit up and listen, it gives you influence over them.